Application is easier when you use a high-quality German-made brush designed specifically to work with Mineral Paints and Pigmented Mineral Stains. All of the brushes we sell use high quality bristles with a far greater density than the average brush you may find at your local home-improvement store. The increased bristle density holds more paint, allowing for a quicker and easier application. The only way to obtain a truly old world look is to use a brush. With these brushes, the number of possible finishes are limitless. With many different sizes of brushes, from the small Tradesman to the Premium Mineral Facade Brush, we have the perfect brush for every person and project! The Tradesman brushes are the perfect size for homeowners and durable enough for professional painters. Tradesman brushes are ideal for everything from smaller projects and interior applications to exterior applications on most residences. The Standard and Premium Mineral Facade Brushes are large enough to allow applicators to complete whole facades and other projects quicker than ever before. For smaller areas, the Professional Chip Brush, Round Brushes and Flat Brush are ideal choices. 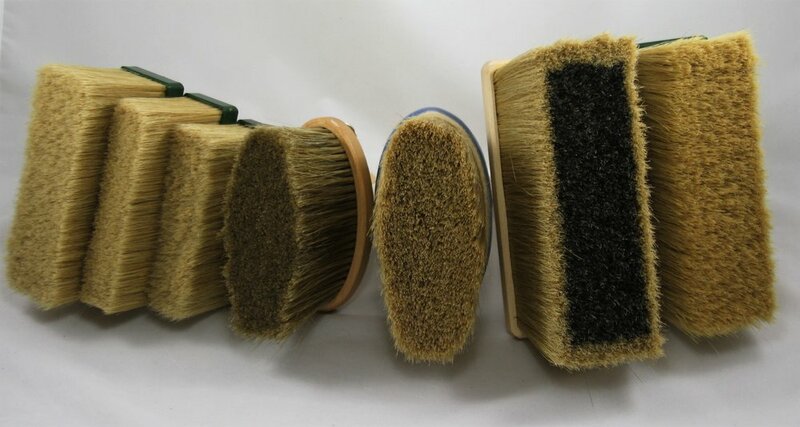 The Coarse Facade Brush is designed to apply the initial coat of Coarse product on large facades. There are also Small and Large Lasur brushes as well as Small and Large Lasur Wipers for applying and finishing BEECK Concrete/Stone Glaze. All brushes are available through our webstore. If you have any questions concerning the ideal brush for your application or need, please contact us. We are happy to help!